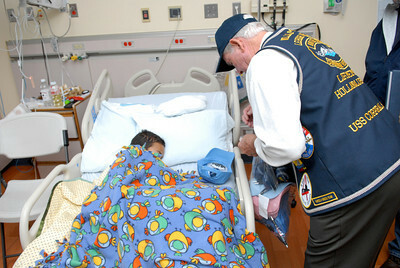 Dey Vaun Williams, 10, Williamsport, gets a cap and other goodies from veteran William Reasner, during a caps for kids program at the Janet Weis Children's Hospital in Danville on Monday, Veteran's Day. 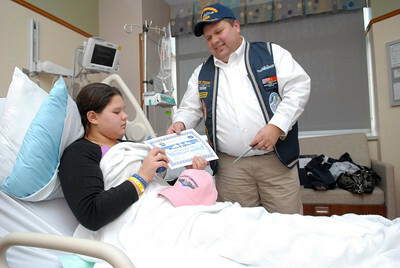 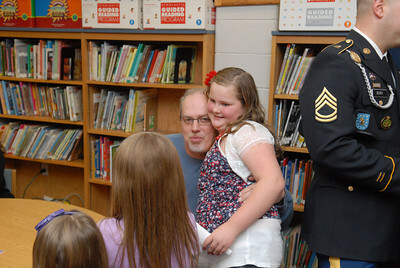 Carly Carey, 12, Pittston, gets some goodies from veteran Don Young at the Janet Weis Children's Hospital. 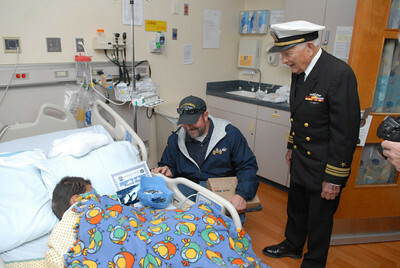 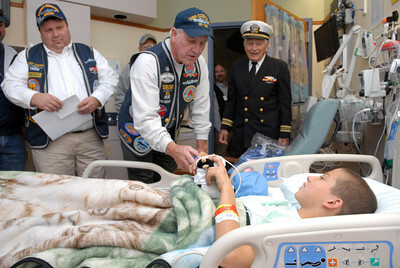 Veterans who all served on submarines, William Reasner, left, Don Young, and John Peterman, a WWII veteran, give a cap and some other goodies to Janet Weis Children's Hospital patient Kevin Bower Jr., 11, South Williamsport, during a caps for kids program on Veteran's Day in Danville. 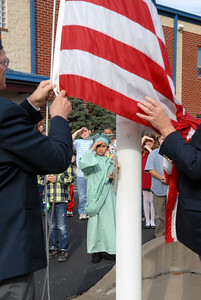 Priestly Elementary student Anna Rivera, 8, watches a flag ceremony on Monday, Veteran's Day, outside the school with her classmates. 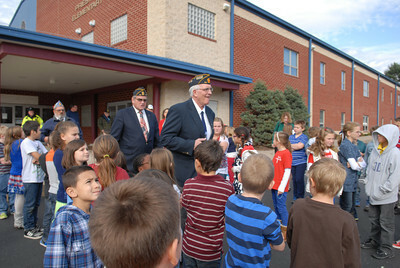 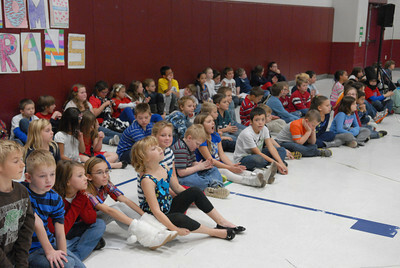 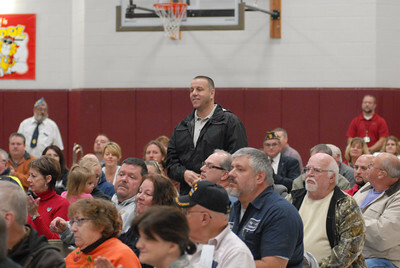 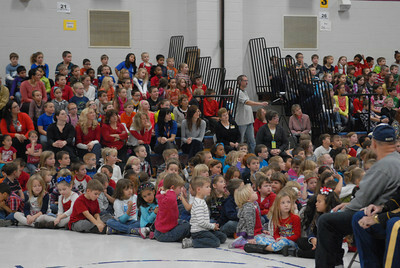 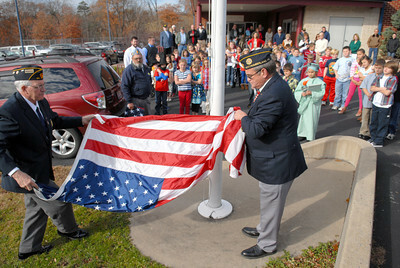 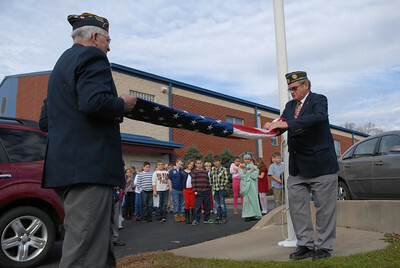 American Legion Post 44 members Paul Ruane, left, and Richard Simpson, perform a flag ceremony for a group of Priestly Elementary students on Monday for Veteran's Day. 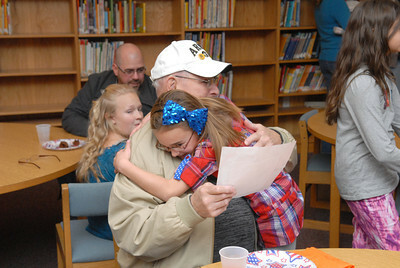 Army veteran Emerson Neidig, Sunbury, gets a hug from his great granddaughter Sophia Feathers, 8, at a Veteran's Day celebration at Priestly Elementary in Northumberland on Monday.